Since black isn't a color per se, I'd have to say my favorite color is definitely pink. This is especially true for lip color. Every time I'm shopping at cvs or any other drugstore i gravitate towards the lip color. 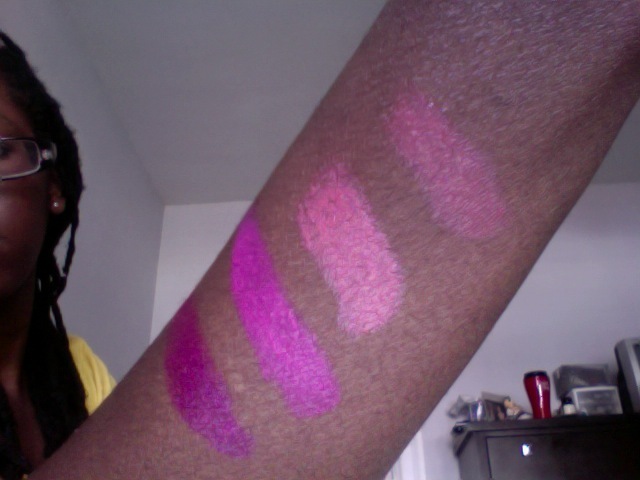 Here are a couple of my favorite drug store pinks. Also i think you need to 86 the approval necessary for comment visibility. boooooooooooooooooo!